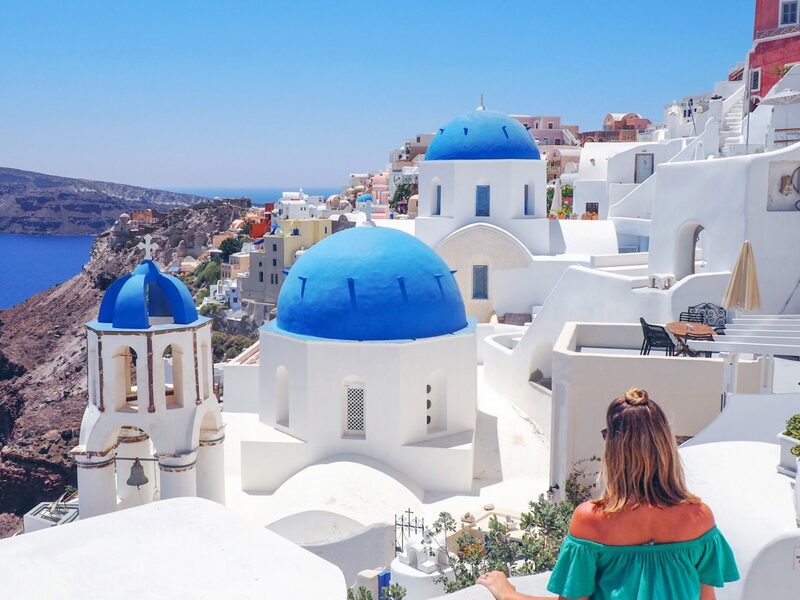 Santorini has been on my bucket list for quite some time, I’m so glad I finally managed to tick it off the list…It was everything I expected & more! The one thing I didn’t expect is how small the island is! You can pretty much get from one end to the other within an hour (unless you get stuck behind a quad, which is highly likely ha!) This was such a last minute holiday; I hadn’t had chance to do as much research as I usually would. 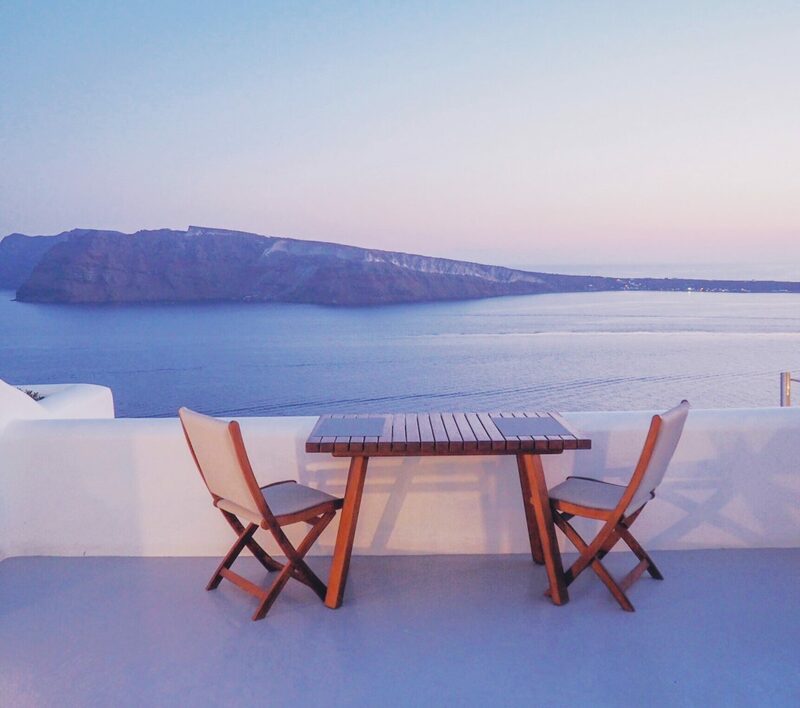 I’d looked at all of the different places to stay in Santorini & after having a little look at other reviews/blogs, I’d decided Oia & Imerovigli would be best! I like to be within walking distance of everything whilst I’m away, it just makes it so much easier not having to worry about getting around. I’d also heard how busy Oia is, so being within walking distance of Oia centre is ideal to be able to avoid the crowds at peak times! Fira is another one I looked at, but as Fira is the capital I just imagined it to be super busy, that wasn’t something I wanted for this trip. 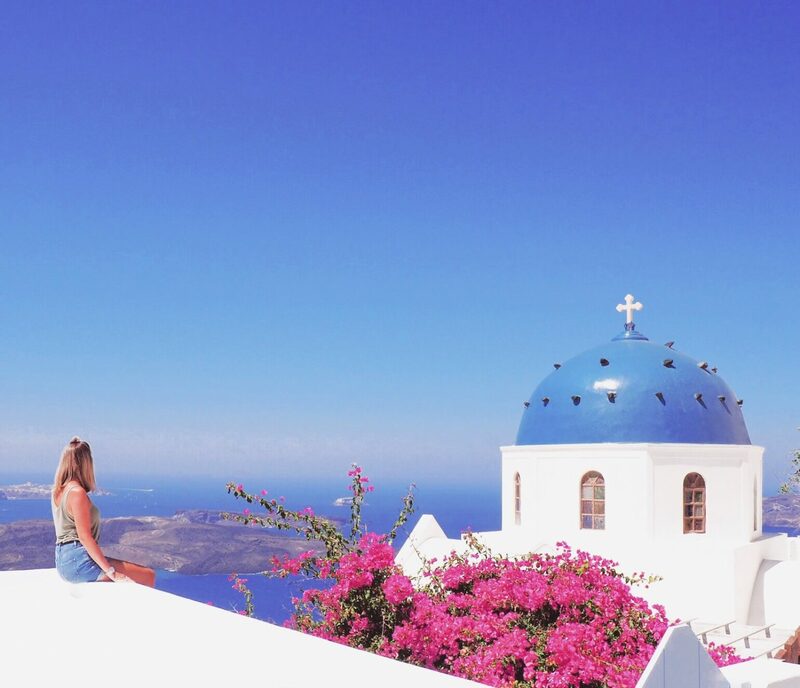 For the best views of Oia, head to the castle where you’ll find the most beautiful panoramic shot, you can see so much, I could have sat there all day watching the world go by! This picture was taken at 12pm, but I decided to go back the next day at 5:15am to watch the sunrise & experience the view without as many people, don’t get me wrong it was quiet but I was surprised at how many people were there so early, we certainly weren’t the only ones! I tried going at sunset too, but that was a mistake, It’s the busiest time by far as everyone gathers at Oia Castle just around the corner to watch the beautiful sunset…and boy is it beautiful! The sunsets in Oia are stunning, most people gather at the castle, but we enjoyed it from the luxury of our balcony. It gets soooo busy around the castle. 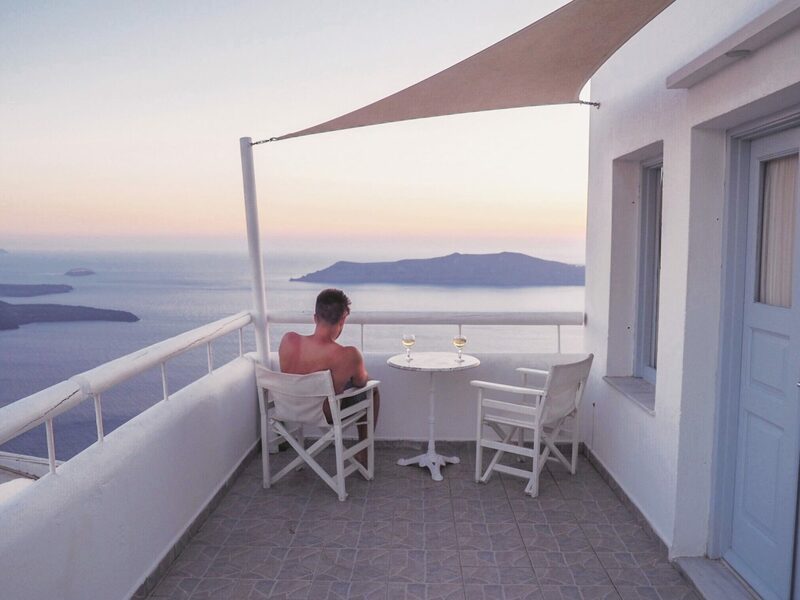 If you can, try and get yourself a hotel with a nice balcony, or views of the Caldera if you prefer to watch the sunset in peace & quiet together, you’ll pay a little more for the luxury but it makes such a difference! There is something magical about the churches in Santorini, the one above is by far my favourite, it’s towards the bottom end of Oia, leading back towards the main road heading towards Imerovigli. Most people don’t walk that far along, it was lovely & quiet there, with lots of nice spots for a vanilla milkshake! One of my favourite things about Oia, is no matter which corner you turn, you’ll see something beautiful. It really reminded me of Venice. You can just wander around with no idea where you’re going, then all of a sudden 4 hours have passed! It’s really hard to get lost, so just have a nice relaxing stroll & see where you end up. There are so many beautiful shops too, I’m a sucker for cute, quirky unique shops & they’re everywhere! …W O W! What can I say, its so much quieter than Oia with equally (if not better!) views. 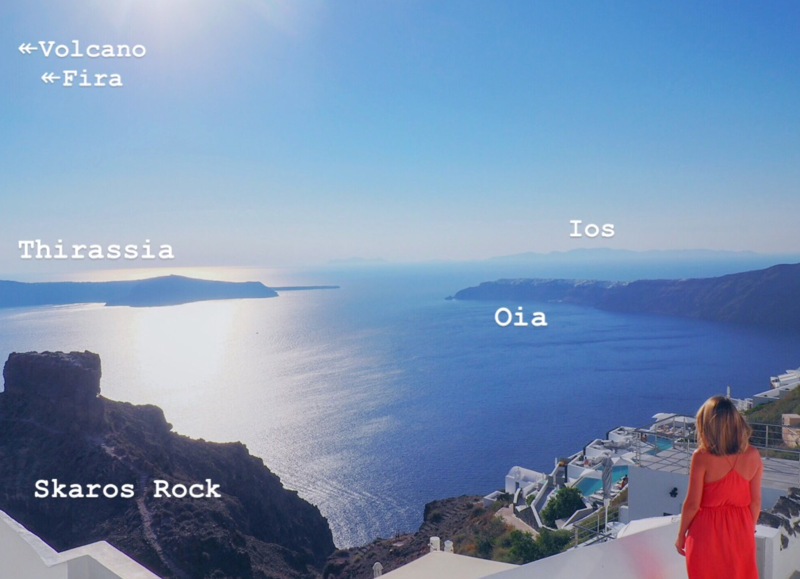 We stayed directly in-front of Skaros rock, so we had views of the Volcano, Oia, Fira, Thirissa & Ios, it was amazing waking up to views like that every day. Plus of course, it made the sunsets 10 times better! The churches are much quieter too. Anastasis Church is the main Church in Imerovigli, it has a really pretty bell tower. 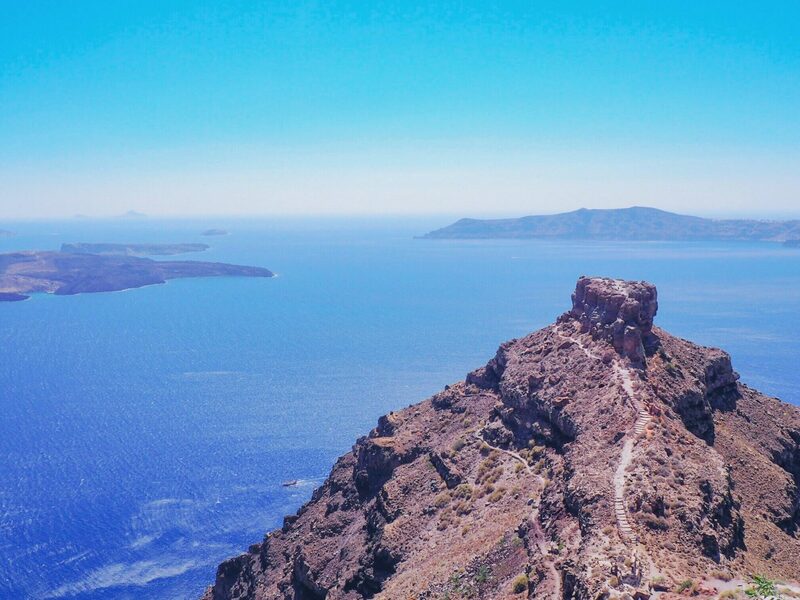 It has such amazing views of the island, especially the cruise ships heading in & out of Fira. Imerovigli is much smaller than Oia, but it’s just as fun to wander around getting lost. I walked to Fira too, it only took about 40 minutes, the views are of course amazing the entire way. Definitely worth it. 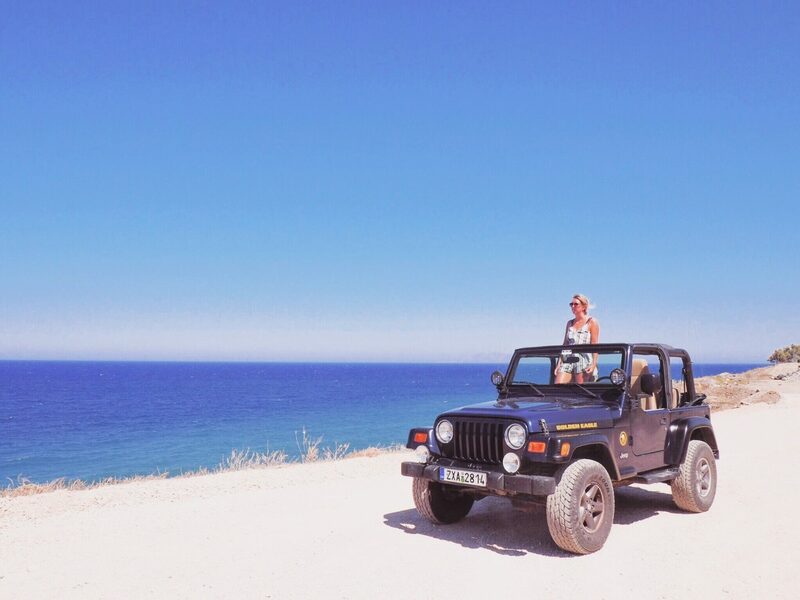 I drove out to Perissa Beach on one of the days, I was going to hire a quad for 50 Euros a day, but decided to hire a wrangler jeep instead, that was 90 Euros for the day. Most people hire quads to get around, but I’m an accident waiting to happen most of the time, so thought the jeep might be a better, safer option! 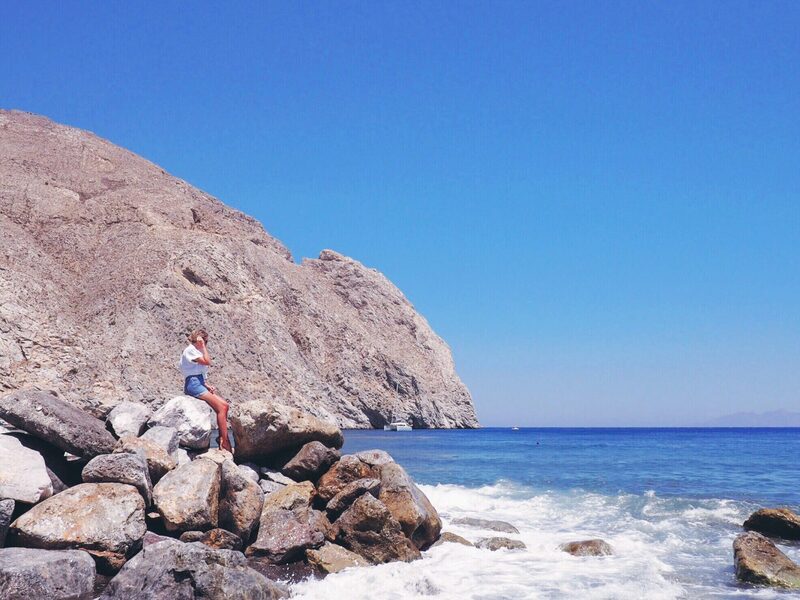 If you’re thinking of heading to Santorini, do it! I went in July, which I wouldn’t do again just because of how busy it is. I imagine May, June, October would be much quieter! 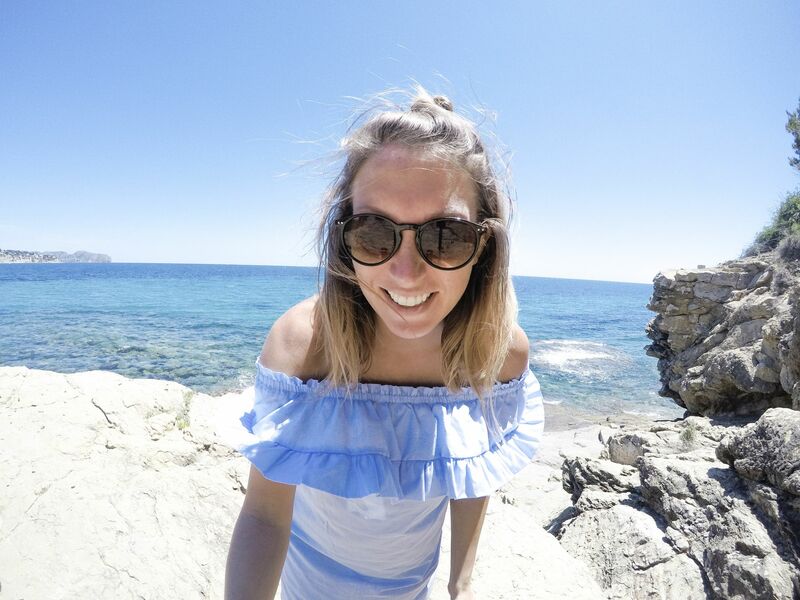 You can make a trip of it by heading to Athens, Mykonos or Ios too, it’s so easy to get around on the ferry, I’d love to head back to Greece soon to explore more. Santorini is just the start! I’ve always wanted to go, but a friend put me off recently by talking about the donkeys there. Your pictures are stunning though – it looks like paradise. Oh yes totally, less crowds and it really would be the total dream! It loos so beautiful, except for the hoards of tourists. Definitely a place to go off-season! Wow the views are incredible! I especially love the blue topped churches, definitely must see! Everything looks so beautiful. I’ve got major travel envy right now. Haven’t gone somewhere new and sunny in far too long! Everything in Santorini is beautiful. 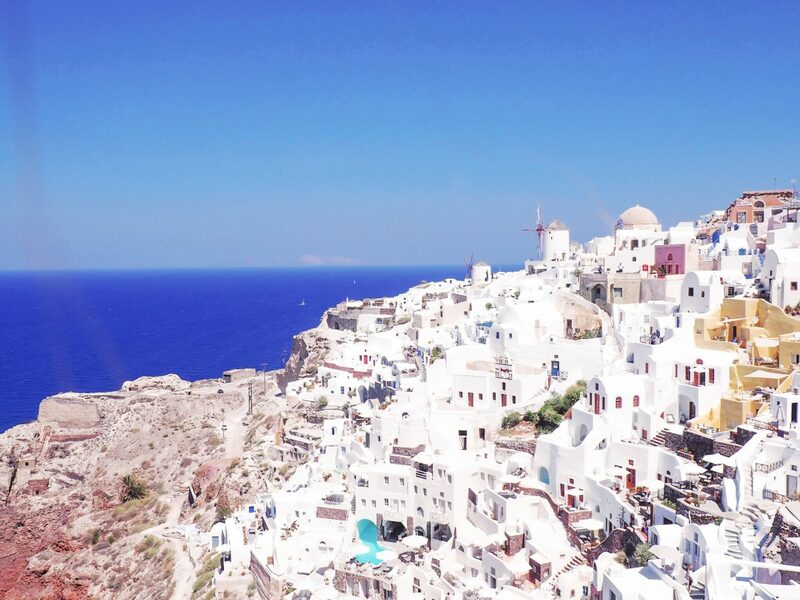 The white structures, clear blue waters, and the breathtaking views – they are all amazing. What a lovely looking place. The pictures look really beautiful. It would be nice to visit this place for sure. This is such a serene location to visit. It gives me a feeling of peace given the influence of white shades everywhere. Lovely place and I am sure its worth visiting as well. 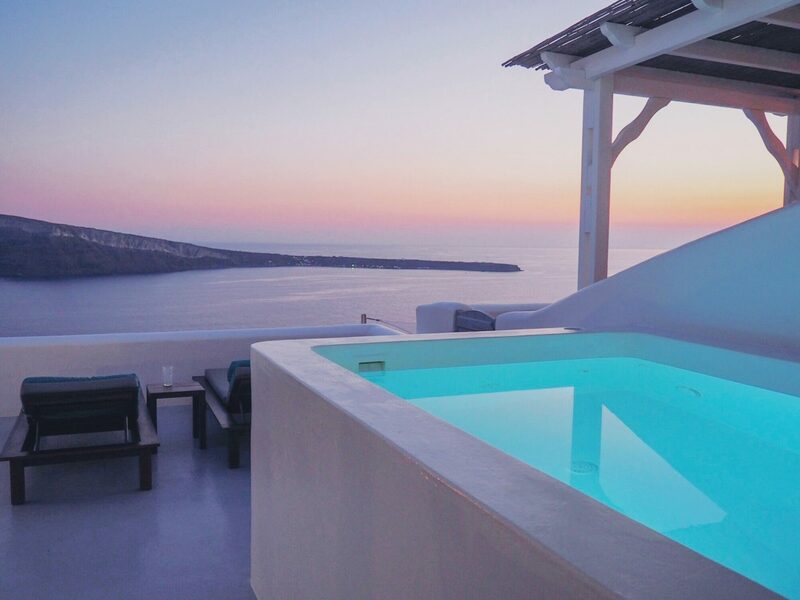 Santorini, looks absolutely amazing! Although your pictures are gorgeous, I’m sure to see it in person was just stunning! I adore Santorini. Your pictures are so gorgeous. Glad you had fun! 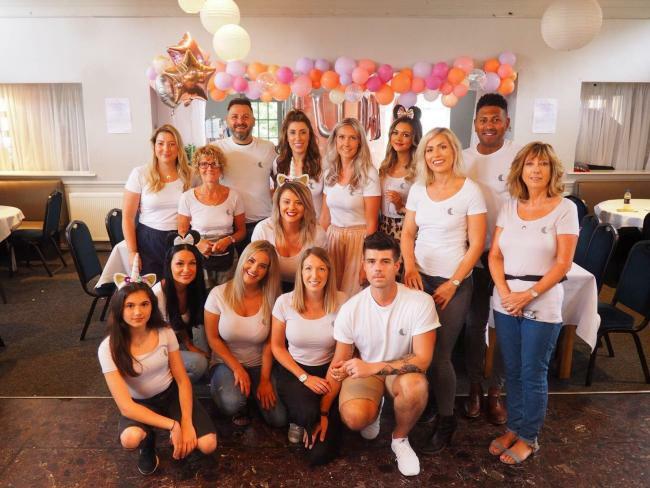 All photos look amazing! I will go there next year! SANTORINI looks like an amazing place to visit. 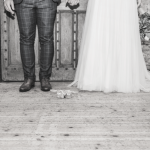 I am in love just by looking at these pictures. oh my goodness. I so want to visit. That is one of the most beautiful places I’ve seen! 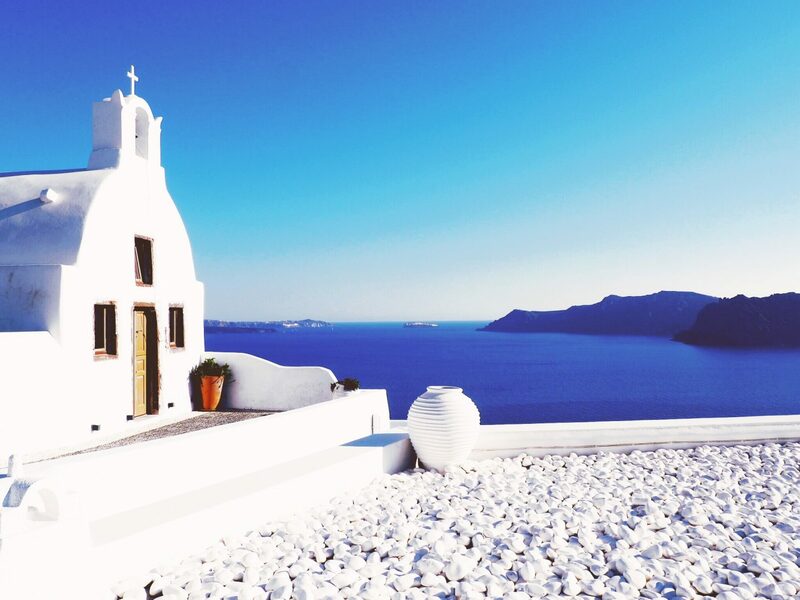 Santorini looks amazing, truly magical. It too is on my bucket list and I am so glad that you finally got to tick it off yours. The views are lovely, that gorgeous blue sea and the white paint of the houses. I like your photos a lot. 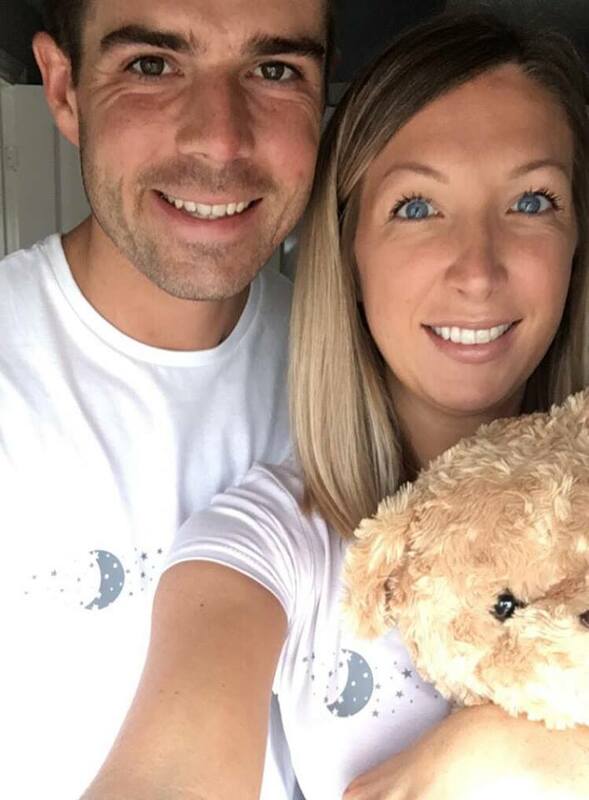 I too have had it on my bucketlist for the longest, glad you had a lovely time and surprised to hear how small it is. But it is still very pretty. Can you recommend any hotels please. Yes! Maregio suites in Oia are lush, that is where we stayed. The link is at the bottom of the post!